How cute can these Graham Cracker Blanket Cookies be!!! They are great for sleepovers or just some fun party treats! Attach the teddy bear with frosting. So easy. So fast. So fun. 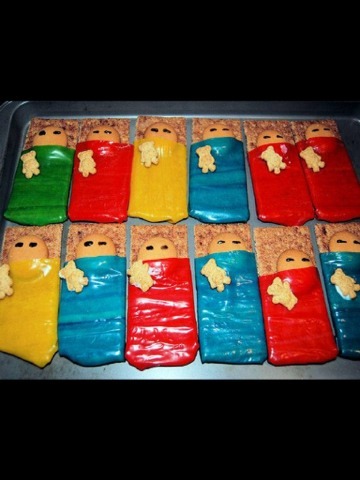 Watch as these adorable snacks become an instant hit at your next slumber party. Be sure to "like" and to "share" before saving so that you always have this adorable tip to refer back to!